Recently I spent a week in Annecy doing an SIV and XC course with Jocky Sanderson and then going on to participate in the Chabre Open in Laragne which was my first ever competition. The 2 weeks I spent in France were awesome and I learned a lot as it was my first ever time flying outside of the UK. Arriving in Annecy was incredible, as everything was so much bigger compared to the hills in the UK. The take-off at Col de la Foclaz was stunning as you looked down onto the lake. The SIV was great and I learned lots from it. The Mentor4 reacted very well to all the collapses and maneuvers. I would highly recommend to anyone who has not done an SIV course to get themselves on one, as having more confidence in your wing and knowing how to deal with certain situations is extremely important when flying in thermic air. During my week in Annecy I got to fly with my dad and brother who had both completed the SIV the previous week. 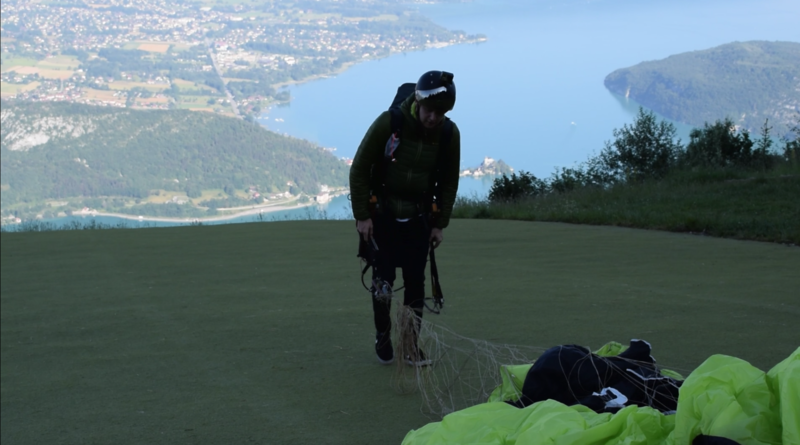 We had a great 40km flight together, taking off at Foclaz, flying north of Lake Annecy to the massive cliff faces at Parmelan and finishing the flight with some breath taking views as we glided from the top of La Tournette (2,500m) down to the Doussard landing field. 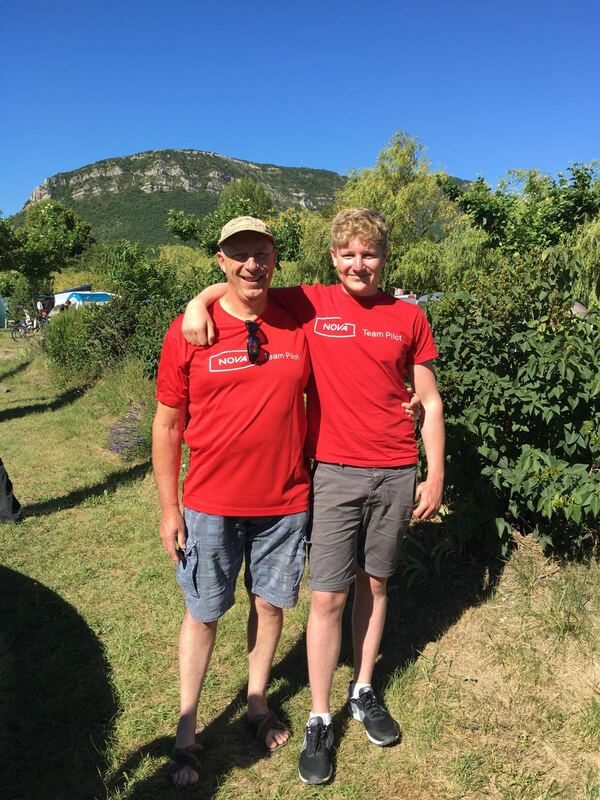 In the second week my dad and I took part in the Chabre Open in Laragne, which I learnt a lot from. It was great to meet Hans ter matt on the first day of the comp, here is a picture of both me and Hans at the bottom of the page. However, the tragic fatal accident of Gordon Vosicki was very sad and upsetting. On the first official task, my dad and I got to 2500m to the north of Chabre and had amazing views looking north towards the snow covered mountains of the Alps. Unfortunately, half way into the task, as I entered a thermal in which another pilot was going up in very fast, I suffered a big full frontal. Given what had happened to Gordon a couple of days earlier, I was left feeling very shaken (as was my dad, who was in the same thermal and had witnessed my collapse). At this point, with only one day remaining, we decided to withdraw from the competition and reflect on all that had happened during the last few days. Thanks for the story, John. You are right with the SIV. But don’t get hooked too much Laragne or generally places you now know and like. Take advanatge of of being a team pilot: Visit your tea mates. There is soooo much to see and experiene out there. You got the key to the door!